Easy is a relative word. Based on my experience, getting your business to the level that you’re making “easy money” often only happens after putting in the work to set up your fully optimized affiliate sites. There are 2 main aspects to really succeed at internet marketing….1) getting targeted traffic and 2) having a high converting sales page. Firstly, you may be asking, “What is CPA?”. Typically this stands for Cost Per Action or Cost Per Acquisition. There are simple CPA offers, such as email submits, zip code submits, contests, etc. and then there are more advanced types of CPA offers such as free dietary supplements that can pay out 30 times more than a simple email submit offer. The easiest forms of CPA offers are the email or zip code submits because the visitor has to provide very little information (email or zip code) but, the payouts reflect this too paying the affiliate around $1 or so per submit. However, if you can get 100+ submits per day then you’re making decent money. One thing you’ll want to consider, but this goes for any online type of business, is split testing and increasing conversions by tweaking your sales copy so more visitors to your sites take the action you want them to take. You’ll want to track where your clicks come from and where they go so setting up tracking is also very important. There are many different ways to get traffic to your sites. Some are free, some paid. Free examples include SEO, Youtube marketing, email marketing, etc. 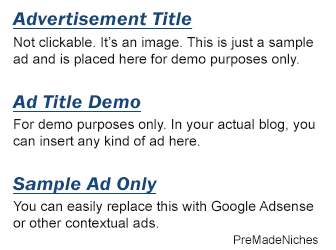 Paid examples include PPC (Adwords, Bing, etc), Facebook ads, solo ads, and so on. Almost every CPA affiliate starts small, either due to limited funds or perhaps testing the waters of a new niche. However, if you stick with it and reinvest many of your profits, it’s not uncommon to start earning 5 or even 6 figures per month!